If you're ready to step up your trail riding game, the Bell Stoker is made for you. 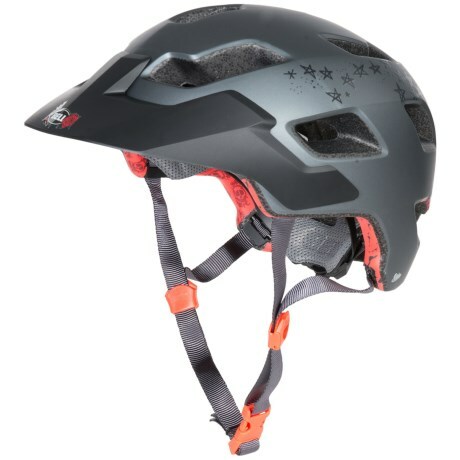 This go to all mountain helmet has just the right combo of substance and style. With air channeling vents and extended rear coverage, the Stoker keeps you cool and confident while riding challenging terrain. And its killer features like the adjustable visor and SpeedDial Fit System make it a great choice for any off road adventure. Your browser isn't supported for displaying eBay items. Go to eBay to search for Bell 2014 Stoker Mountain Bike Helmet.